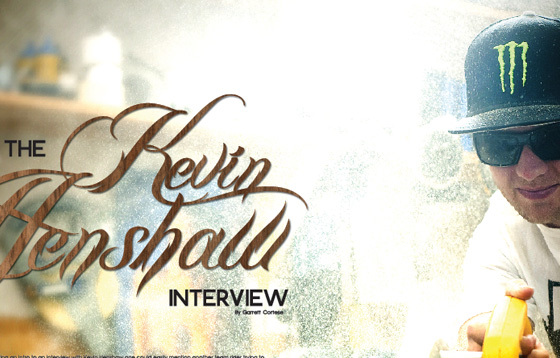 Kevin Henshaw – Melan BS 180 by Jason Lee. Kevin Henshaw is a working man. 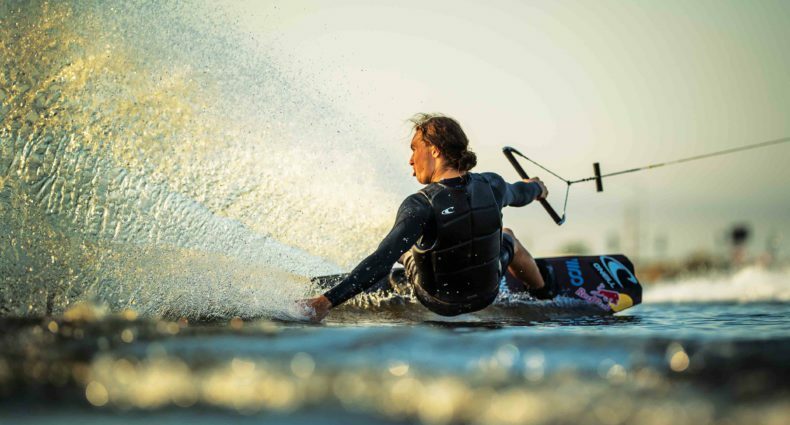 Everything he does he does with maximum effort and extreme attention to detail including rail building, home remodeling, toe-nail trimming, and most importantly; wakeboarding. For the cover of issue 11.4 he made no exceptions with this flawless melan poked backside 180. You can learn all of this and more including his take on the young guns, rail designs, and his new board all in the 8 page exclusive interview. Danny Hampson goes through an “early 20’s life crisis” in Reason as he says goodbye to his abs and hello to that top portion of his forehead that used to be covered in hair. We’re pretty sure he’s just over-exaggerating but haven’t seen him in months so who knows? He decides to take us on a stroll down memory lane (of wakeskating) before it’s too late and he loses all memory. He does pose a great question in this piece: What happened to lip tricks? On page 38 Randall Harris takes over the Matters section for a lesson on perseverance and how it has affected his life and career. The two pages are filled with more power and emotion than we’ve ever heard from Vandall himself, a must read for all fans of the West Coast leader. 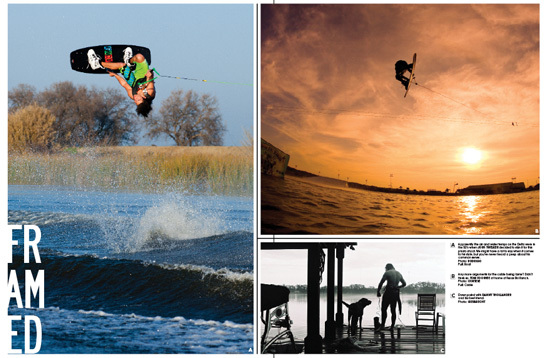 As always we have 11 new pages of the best wakeboarding photo’s money can buy in the Framed section, so be ready to bust out that razor blade and put the finishing touches on that custom wallpaper job down in the basement. 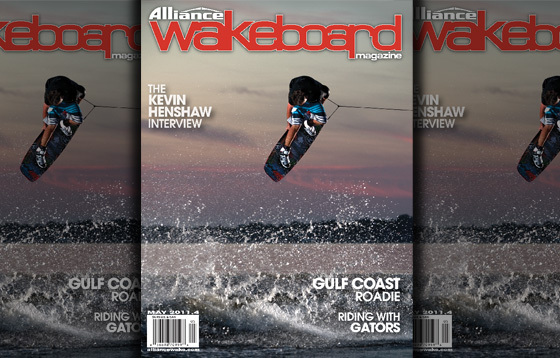 Also in issue 11.4 the Fox wakeskate team travels to the gulf coast with journalist Bob Soven and photographer Bryan Soderlind where they capture some of the most incredible photographs to ever come across our desks. 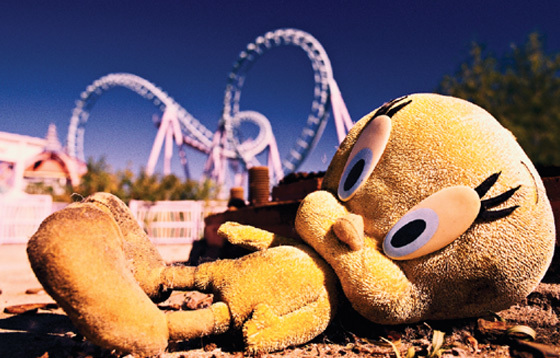 I guess that’s what happens when you turn a bunch of wakeskaters loose on an abandoned theme park and also take a ride on “dead lake.” He may not know how to manage his hair, but Bob Soven can tell a hell of a good story. Finally in issue 11.4 The Dustpan pushes the limits of safety as two teams of riders race across the most alligator infested lake in all of Florida – Lake Jesup – “A dumping ground for nuisance alligators.” It was a six mile race in total, and Danny Hampson lived to the tell the story after a dreaded fall in only 2 feet of water. His “I swam in lake Jesup” t-shirt is being printed as we speak. bigs up to Austin at THE LIQUID PLAYGROUND for having the featured shop of the month!! !